Hey peeps, so I’ve taken my Steampunk welding goggles to a whole new level. Jonathan, the artist-formerly-known-as-my-husband, has been hand painting goggles for me. He’s mastered his technique of layering colors with a clear coat for a deep multi-dimensional baked enamel finish. These are real welding goggles that come with interchanging plastic dark and clear lenses. They are AMAZING and only $28. Disclaimer: Because these are intended for work use, they are not as comfortable as Biking goggles, so many folks wear them on their hats. If you want a pair, let me know ASAP. I can ship these anywhere. 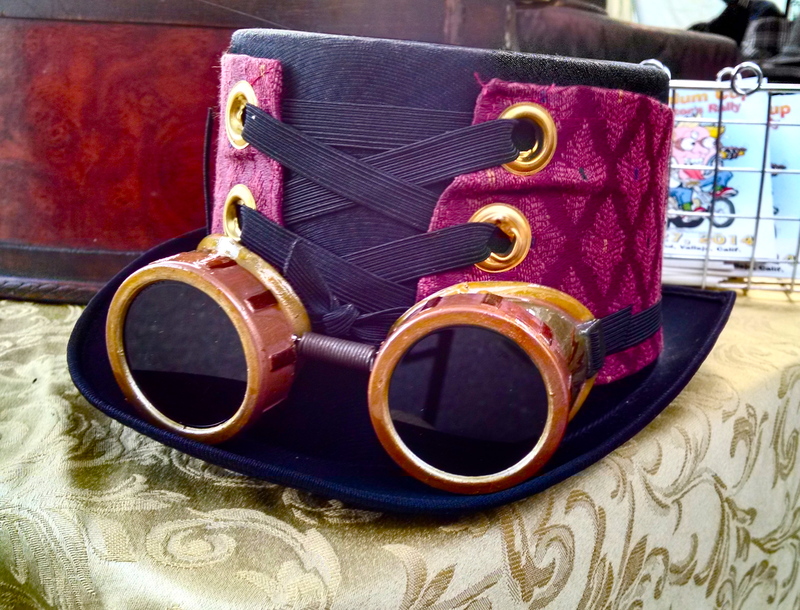 These goggles are selling quickly at the Events I’m vending at each weekend. Check my Events Schedule to come see them in person. I also plan to have an assortment at The Hub in Vallejo by this weekend! Awesome goggles.do you wear them to the supermarket ?